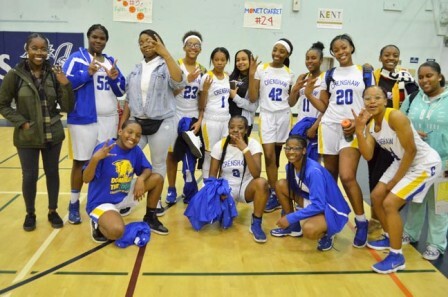 The Crenshaw Cougars girls’ basketball team will continue their undefeated rampage to the City Section Championships after defeating Dorsey 50-45 on Friday. The Cougars will battle the Hamilton Yankees for the division II title on Friday, March 2 at Roybal High School at 6:00P.M. The Semifinal match marked the third time the rival schools met this season. Dorsey and Crenshaw championed over the Coliseum league with Dorsey only suffering two losses and eight losses overall. Crenshaw senior Arianna Bowden earned a double-double with 15 points, 11 rebounds, and three assists. Senior Trinity Williams also earned six steals for the Cougars. To start the game, Crenshaw launched forward with a 6-0 run. The Dons quickly responded, tying with the Cougars at six points halfway through the first quarter. Three pointers by sophomore guard Princess Sparks gave Dorsey the lead but the first quarter would end with a tie at 13 points. Dorsey continued to fight with valor, igniting a 7-1 lead all the while stifling the Cougars offense by forcing turnovers. The Cougars were held to eight points in the second quarter and Dorsey had a 26-21 lead at halftime. The Cougars had no quit in them, accurate free throw shooting and a layup by sophomore Emoddishae Williams would give Crenshaw the lead. Junior guard Kierra Haynes kept the Dons competitive throughout the third quarter. Dorsey also had strong rebounding performance to extent their possessions, but the Cougars had control of the game with a 36-33 score at the end of the third quarter. The tempo sped up in the fourth, free throws from Haynes would get Dorsey within one point. 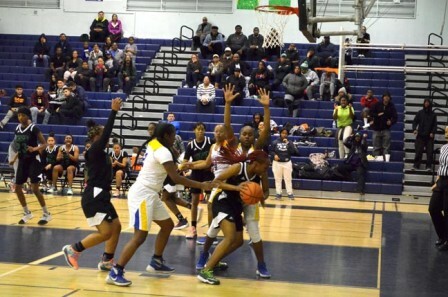 Crenshaw guards responded with four points. The Dons struggled at the charity stripe, missing critical, quintessential shots near the end of the game. Trinity would give Crenshaw a six-point advantage. Sophomore guard Jaidin LaCount was sent to the free throw line, only scoring one shot. The Dons could not solve their five-point deficit with the seconds remaining in regulation. The weekend will be filled with exciting City Section championship matches. For the boys’ division II final, King/Drew will battle Van Nuys at Roybal at 8:00P.M. The division I and Open division championships will be held on Saturday at Cal State Dominquez Hills. The Division I girls title will kick off the day at 1:00P.M., with Carson facing off against Legacy. Washington Prep and University High School will compete for the D1 boys crown at 3:00P.M. The Fairfax girls’ basketball team will rally for a back-to-back Open division title, facing Granada Hills Charter at 5:00P.M. Westchester will avenge their 2017 Open division loss by battling the Fairfax boys basketball team at 7:30P.M.